Meteorology Climatology and Geophysics Board (BMKG) predicted in all Jakarta regions will be partly sunny. Citizen are asked to be aware of weather and temperature changing.
" For today's temperature could reach 22-33 Celcius degree with humidity around 45-95 percent"
"Morning is partly sunny," said Hary T. Djatmiko, Head Division of BMKG's Public Relation, Monday (6/19). 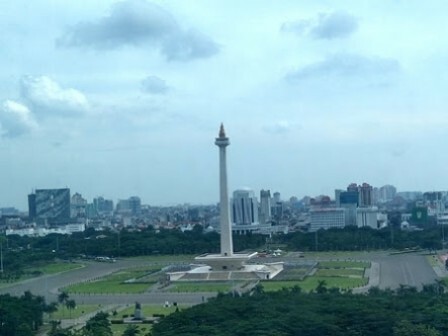 From afternoon to night, West Jakarta, Central Jakarta, South Jakarta, East Jakarta, North Jakarta, and Seribu Islands are predicted will be partly sunny. "For today's temperature could reach 22-33 Celsius degree with humidity around 45-95 percent. While north-east wind velocity could reach 05-25 kilometer per hour," he clos ed.